What are the In-sessional services provided by the English Language Centre? We provide: The Lincoln English Language Assessment (LELA) – an English Language Diagnostic Testing for students enrolled at the University. In-sessional Courses (courses for international students who are currently enrolled on their main course at the University of Lincoln). Drop-In (Individual one-to-one academic writing support). For more information on each of these services above please click the links provided. Who can use the In-sesssional services? We offer free In-sessional English language support to all students currently enrolled on degree courses at the University of Lincoln whose first language is not English. If you are unsure whether you are eligible for these services, please contact us by email (englishlanguage@lincoln.ac.uk), providing your full name and student number. 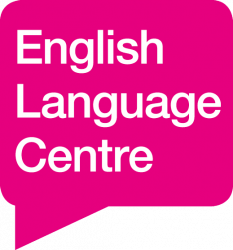 I want to speak to someone from the English Language Centre, how do I contact you? Please visit our Home Page for contact details. Can you recommend resources for self-study? Yes, please visit our Self-Study page. If you have a question is not answered here, please email englishlanguage@lincoln.ac.uk and we will help you.